Award winning Nigerian music icon, Davido, whose real name is David Adedeji Adeleke, has revealed that he want to focus on his National Youth Service Corps Programme for now and, therefore, has canceled some of his international shows. The singer took to his Instagram page on @davidoofficial to make this known, while urging his to bear with him..
 I apologize to all my Fans but Duty calls !  But I promise new dates would be announced for Houston Dallas LA and San Francisco ❤️❤️❤️ We will reschedule and add more dates. Shout out to all the fans who sold out each city so far. 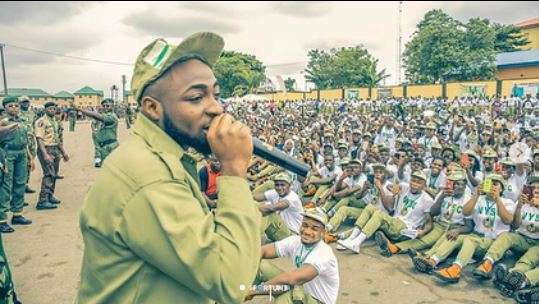 0 Response to "Davido Cancels Tour Due To NYSC Commitments (See Details)"